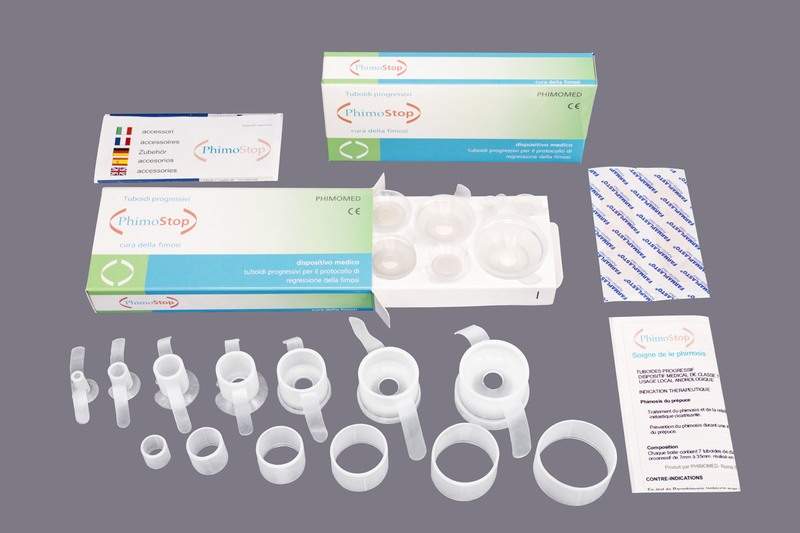 Phimostop is an innovative and unique approach to the non-surgical resolution of phimosis, designed and patented by Phimomed. 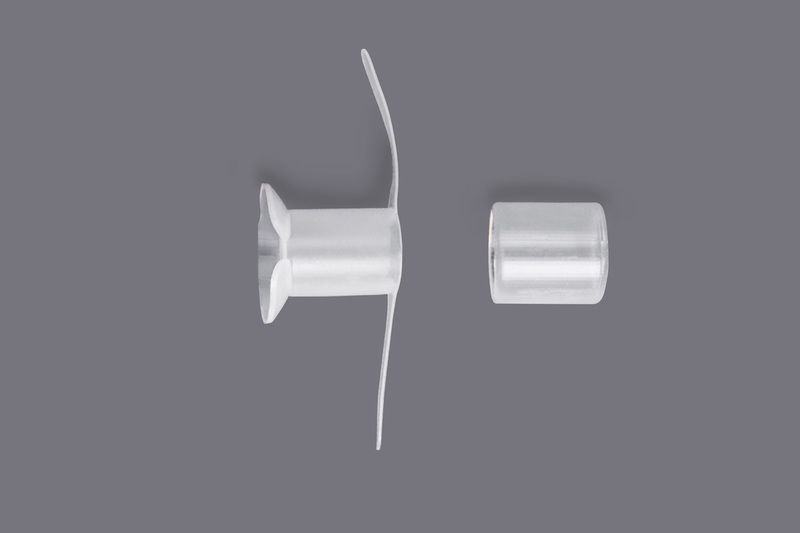 This is an affordable non-prescription aid that’s been designed to restore a patient to the state preceding the phimosis. After a few days of use, you will be able to slide the foreskin freely over the glans again, even with an erection, without pain, and without the need for surgical circumcision. 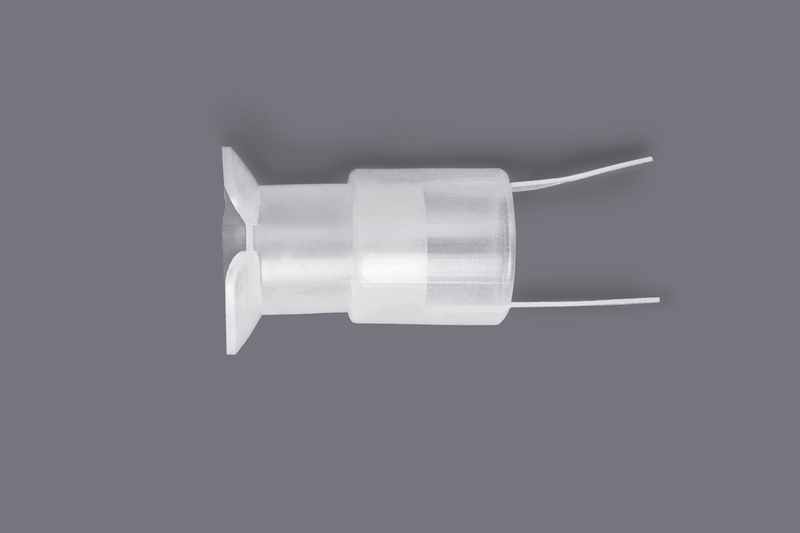 Tuboids: 7 Tuboids of different sizes + 6 intermediate rings for intermediate to longer progression. 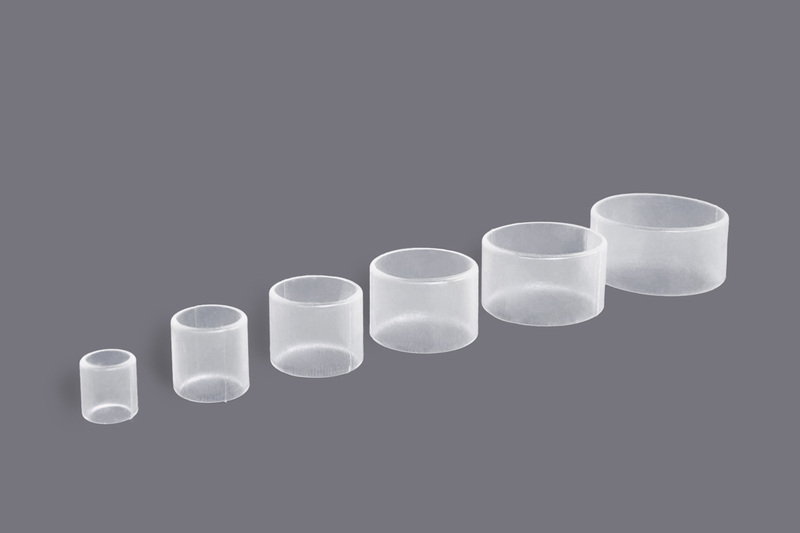 Diameters: 6mm – 10mm – 12.5mm – 15mm – 17.5mm – 20mm – 22.5mm – 25mm – 27.5mm – 30mm – 32.5mm – 35mm – 37.5mm. This site accepts payments via PayPal, via which you can use your credit card, without registering for the service. The order will be shipped as soon as we receive confirmation of payment (with payment copy) and you confirm the shipping address. Shipping is free and trackable. We ship worldwide. The delivery takes up to 8 working days to reach the recipient (possible delays in customs control). Have you already pressed the add to cart button? 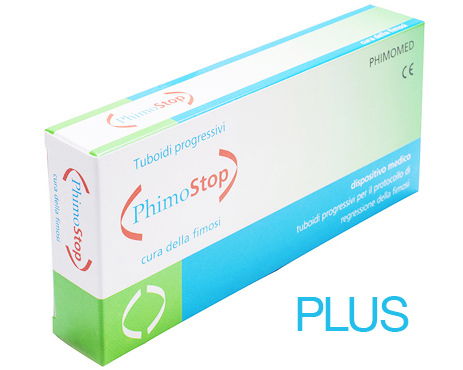 Then Phimostop is already present in your cart, click here to finalize the purchase. Thank you.